Brief, random updates |Sundews Etc. There are a number of neat things going on in my collection right now, but nothing that I was really able to tie all together to make a nice thematic post. So this is just some show-and-tell I guess. 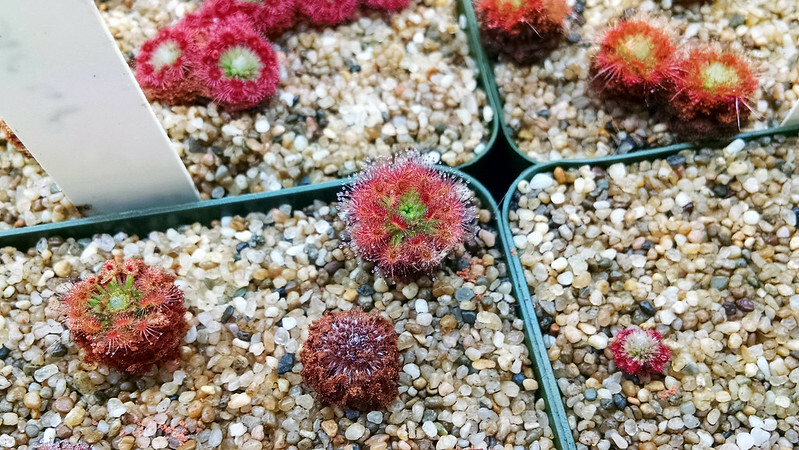 It's still pygmy season, and Drosera roseana is stepping up to the plate with some fine gemmae. I definitely need to harvest and re-sow this species, since a number of the plants have pooped out over the course of this season. It's one of the prettiest pygmies I think, but it's definitely a case of a plant burning too bright for its own good. 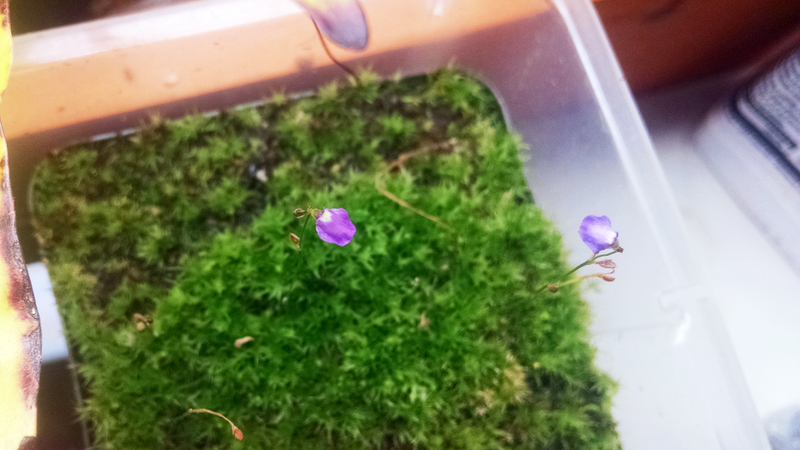 I think Utricularia lateriflora is my new favorite utric species. There aren't many carnivores with that intense of a purple color. Look at that color! It's a really deep, intense purple with a cute white spot. Wonderful little plant! 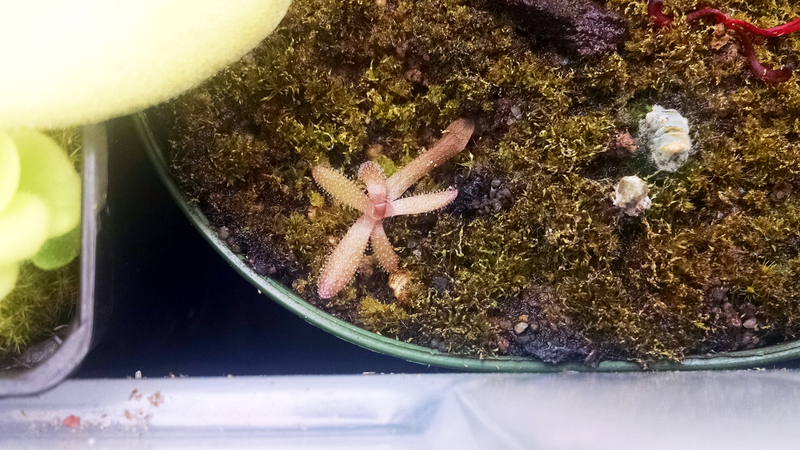 There's also some nice coloration on this little Pinguicula gypsicola × moctezumae plantlet. Anne gave me a leaf from her plant a couple months ago and it's developing nicely. Hope it keeps that rosy copper color. Finally, Byblis liniflora continues to wow everyone. It's my girlfriend's favorite plant right now. What a great plant. Looks amazing. I wish I'd started growing this species earlier, it's really lovely. Very difficult to photograph though, since it's mostly whitish dew. It still hasn't set any seed for me and I'm not sure why though. I should really try actively selfing it soon. 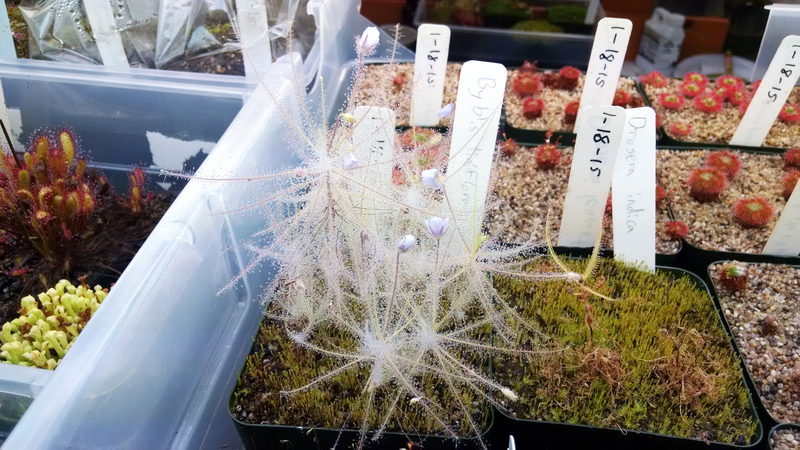 Or maybe cross-pollinating between plants, since they are different clones. We'll see! Lol. I can't get Byblis to photograph well either. I had a few plants this summer which were looking good, but I couldn't get any photographs to come out in focus. It's pretty much a white plant and my digital camera doesn't like to focus on white. It's so pretty to look at, I just wish there was a better way to show it in photos.